Complete revamping of the Heavenly Massage promotional and sales materials. 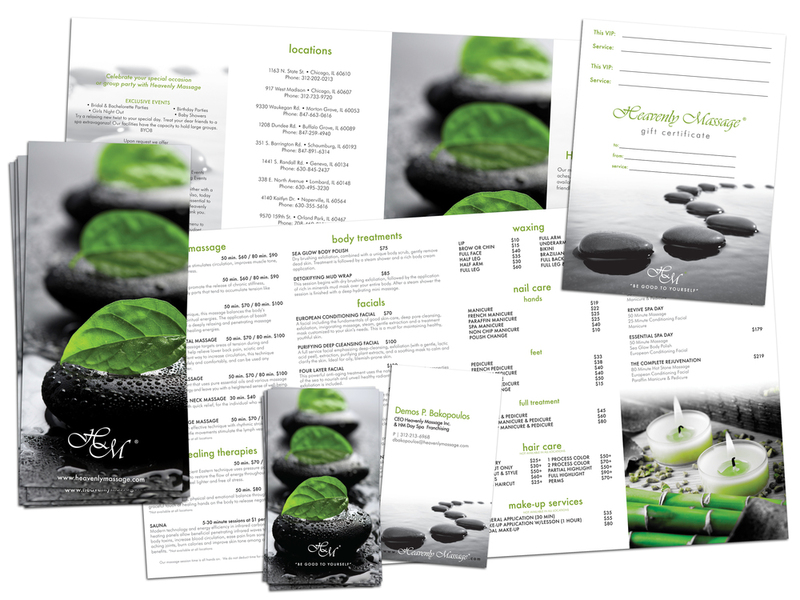 The upgraded look was carried throughout all printed material including business cards, brochures, menus, and gift certificates. 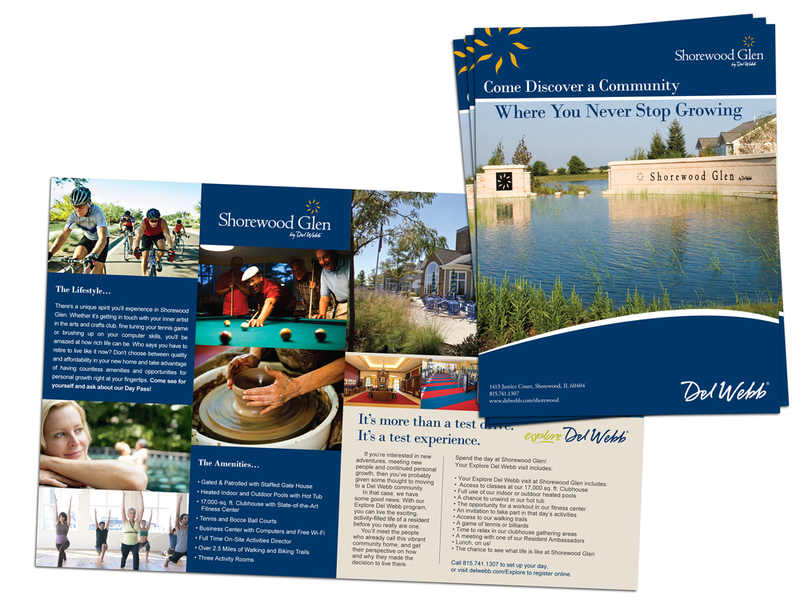 Brochure outlining features and benefits for community members at the Shorewood Glen Del Webb location. Various promotion and sale flyers for Pulte Homes and PulteGroup. A new look and format was needed for the model brochures for three of Del Webb's communities. Multiple sheets were condensed into one bi-fold layout. Various ads for Pulte Homes and PulteGroup for newspapers, magazines and other publications. PulteGroup carried over a new design layout for their model brochures utilized by Del Webb. Multiple sheets were condensed into one bi-fold layout for ease of printing and handing out to potential homebuyers. Digital ads for some of the more modern collections in Pan Am's catalog. Promotional ads that touch on the heritage side of Pan Am and the vintage history of the brand. POP and trade show materials for the Pan Am Brands licensing and travel accessories collections. Promotional stickers and buttons for Trooper beer. Buttons were designed to be a collectible set. Trooper beer was created by Iron Maiden, and brewed by Robinsons Brewery in Cheshire, England.